Hop on the trains to Atlantic Avenue or the to Lafayette Avenue. 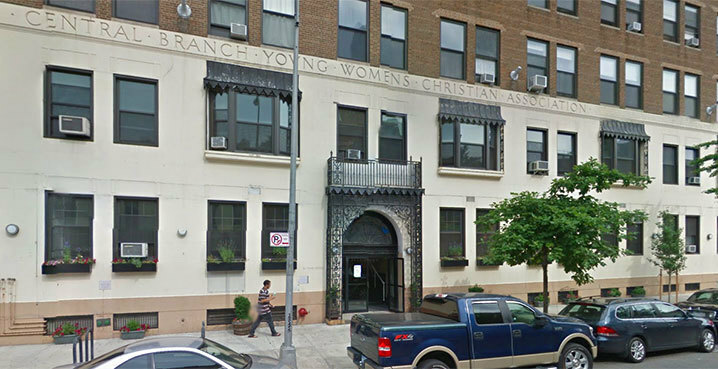 We’re at Brooklyn YWCA, on 30 Third Avenue. Come in, take a left. Shoot us an email. Take a look at the recaps. If you’re feeling bold, just show up. SLPs/SLP students who don’t stutter are welcome to an observational learning experience, but please email us before attending so we can find the optimal date, and read our Guide for SLPs and Students right below. If you want to learn more about stuttering and people who stutter, you have arrived to the absolute right place. The National Stuttering Association is a self-help organization. What does “self-help” mean? To us, it means that people who stutter are in the best position to help and empower each other. We welcome SLPs and SLP students into our community primarily to give them a learning opportunity. Many wonderful SLPs credit the NSA and other stuttering self-help organizations with guiding their stuttering knowledge and clinical practice. We have put together a short guide to help you maximize your experience at our support groups. Email the chapter leaders before coming to group. Find their contact info on www.WeStutter.org and ask permission to attend. We strive to ensure that people who stutter feel comfortable and empowered at groups. Having too many observers can affect that vibe. Be present. Listen deeply to the conversations that you will hear. Many arrive at these groups to meet other people who stutter for the first time, and it can be a very intense moment. Others have been in this community for years and you can learn a lot from what they have to say. Be a humble observer (unless you are one of those lucky SLPs who stutter). Introduce yourself and get comfortable, but remember why you are attending. This is not the place to counsel people who stutter. Think of yourself as a witness to a special community of people coming together for each other. Some people who stutter are used to looking to SLPs for answers, and may ask you for a “cure” or “what would you do?” Defer these questions to the group leaders or the group at large and affirm that most often, people who stutter are the experts on stuttering. Feeling like you want to return? We have more than a few SLP allies who have really connected with our community and regularly attend meetings. What makes them an ally? They listen to us, believe us, respect us as leaders of this community and take what they learn from us out into their practice and the world. If what you see here resonates and you would like to come back, be sure to contact the chapter leaders and we can help you get involved. Thank you for observing these guidelines. We look forward to meeting you!